Xiaomi Mi Note is the latest flagship offering of the Chinese giant to compete against the likes of the Galaxy Note 4 and the iPhone 6 Plus. Today's release ended the speculations about the device's internals which has been teased by the company these past few days. For those who are thrilled about the power that this device could bring to the table, join us as we take a good look at this new offering. 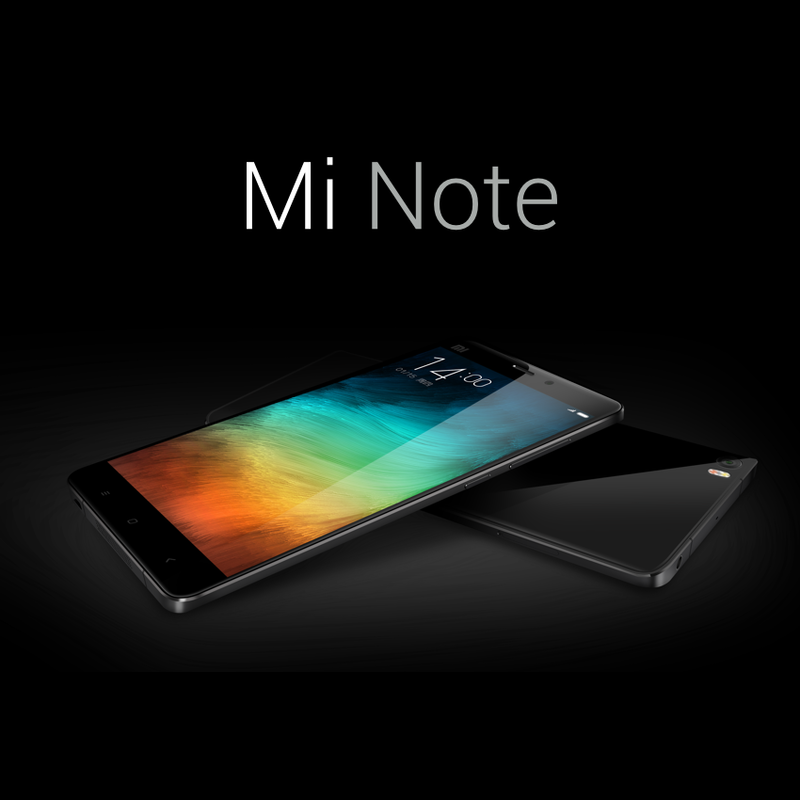 Xiaomi compared the Mi Note to the iPhone 6 Plus. It states that their offering boasts a bigger display at 5.7-inch, 0.15-millimeter thinner at 6.95-millimeter and 11-gram lighter. 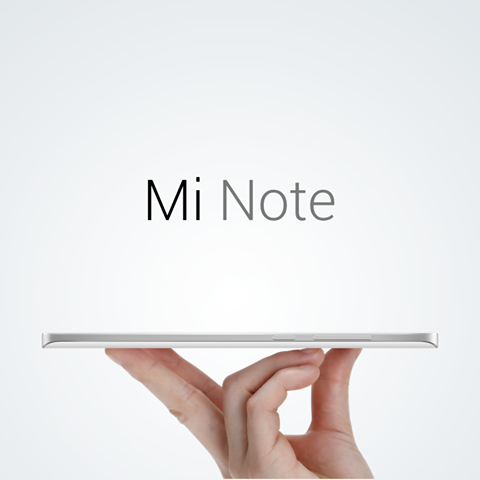 The Mi Note's display is rated at 1080p full HD resolution (with 386 ppi) and is manufactured by Sharp/JDI. The device's front panel is protected by a 2.5D curved Gorilla Glass while its rear panel is treated by a 3D curved Gorilla Glass which makes it shatter and scratch resistant. On the processor front, the new Chinese flagship packs a Snapdragon 801 chipset with 2.5-gigahertz CPU and Adreno 330 GPU. The SoC is also paired with a 3GB of RAM and 16 or 64GB of internal memory. The device also supports dual-SIM cards which is of course 4G LTE capable. Camera-wise, the Xiaomi Mi Note features a 13-megapixel rear sensor which is technically a Sony IMX214 with f/2.0 aperture. The rear camera uses 6-element lens and is accompanied by a Philips 2-tone flash. The front snapper is treated with a 4-megapixel sensor with 2-micron size per pixel. It is somewhat similar to the Ultrapixel technology from the HTC One M7. Both front and back are capable of Optical Image Stabilization. 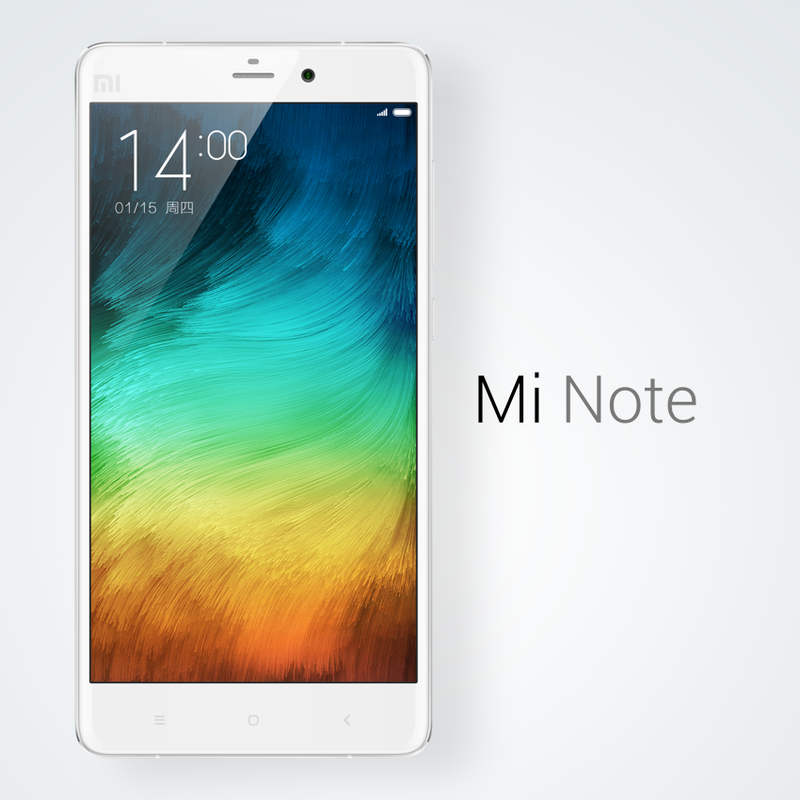 The Xiaomi Mi Note also packs a Hi-Fi audio system with a 24-bit/192KHz lossless playback support. It could play numerous audio formats other than MP3 alone. Other specs include the 3000 mAh Sony/LG Li-ion battery and of course, it runs with Android underneath the MIUI 6. The Xiaomi Mi Note will hit China with USD 370 pricetag for 16GB and USD 451 pricetag for 64GB model.